MIAMI – Samantha Diaz has a fierce spirit and an infectious laugh. Her humor shines when she’s volunteering with kids in Liberty City every week. But Diaz’s confidence has been hard-fought. In December 2012, at age 14, she was in a car that crashed in northwest Miami-Dade County. She said the car crashed into a tree and caught fire, burning her face and body. Diaz lost an eye, her nose and part of her right arm. She also was placed into foster care because she said her mother had a tough time taking care of her. However, she said she still has a loving relationship with her family. Not only did Diaz have to endure the pain of multiple surgeries, but also the cruelty of strangers because of the scars on her face. “People would be staring at me,” she said. But over time, Diaz found strength. She said she started feeling more beautiful than the unscarred, 14-year-old version of herself before the crash. Now, with the help of an unlikely ally, a former CIA specialist, she is getting parts of a new face to help her blend in when she wants to. Diaz wanted a face to match the confidence she was starting to feel inside, Hincapie said. So, doing research herself, Diaz found a man named Robert Barron, a former disguise artist for the Central Intelligence Agency. “I was in the CIA for 24 years,” Barron said. Barron’s specialty: Making sophisticated and undetectable disguises for agents overseas. “Their lives depended on the realism of that disguise,” Barron recalled of his agency years. But after working in a world of espionage, Barron said he realized he could use his skills to help everyday people such as Diaz. “I said, ‘Bob, if you can put people in hiding, then you can bring people out of hiding,'” Barron said. In early November, Diaz went to Barron’s office, Custom Prosthetic Designs, Inc., in Ashburn, Virginia. 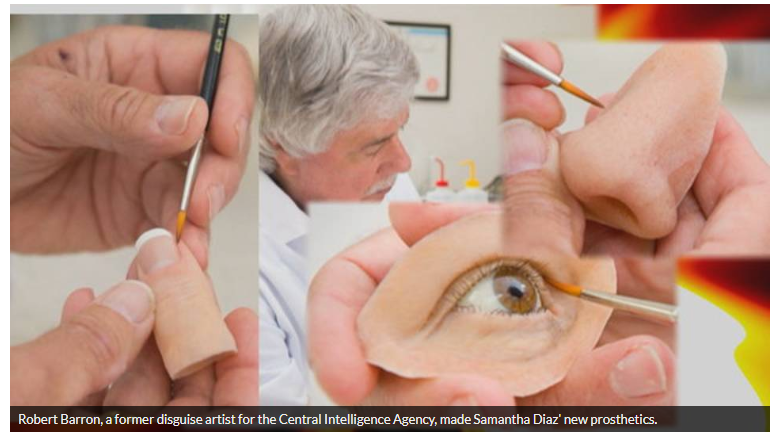 Robert Barron, a former disguise artist for the Central Intelligence Agency, made Samantha Diaz’ new prosthetics. Barron created a new ear with soft silicone, and painted it for the perfect match. The realism is stunning. Diaz was also fitted with a new nose and an eye, complete with some added eye makeup. The prosthetics can be attached to the face using a medical-grade adhesive. 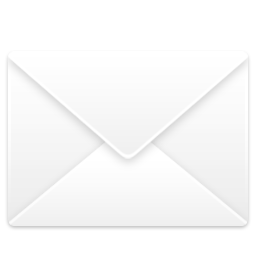 It is an alternative to surgery, which might not be possible medically or financially. “Oh, that’s cute, isn’t that nice?” Diaz said with a smile when she gazed at herself in a mirror for the first time. “When I have these on, I’m unnoticed. Some people might look at my arm but nobody looks at my face. Like, they don’t notice me,” Diaz said. At the My Life My Power Preparatory Academy in Liberty City where Diaz volunteers, she isn’t yet wearing those new prosthetics everywhere. It turns out, the students said they love her just the way she is. Diaz is still getting used to the prosthetics and she said she loves her own face without them. It’s a lesson in courage. Hincapie said the prosthetics were paid for thanks to generous private donations to Voices for Children. Diaz is now working on a book about her life.